The history of Verdicchio has its roots in very ancient times and it seems certain that it was already known among the ancient Romans. The first written testimony of a wine made from its grapes dates back to 410 AD. when, towards the height of the crisis of the Roman Empire, our peninsula was crossed by hordes of barbarians. The Castelli di Jesi are a group of municipalities in the Vallesina area around the historic city of Jesi. In the Middle Ages these territories had been gradually conquered and then subjected to the Contido di Jesi, which was awarded the title of Royal City by Emperor Frederick II of Swabia who was born here on 26 December 1194. It is said that Constance D'Altavilla gave in the light of Emperor Frederick during his journey to Rome in an encampment placed in the city square. The particular conditions of these winegrowing areas are irriproducible elsewhere: the soils are generally silty-clayey and calcareous, poor of organic substance but sufficiently provided with potassium, the ideal to allow the grapes to develop aromas of particular finesse; the good exposure and the fresh sea breezes, which guarantee strong temperature variations between night and day, allow the grapes to develop the right acidity. 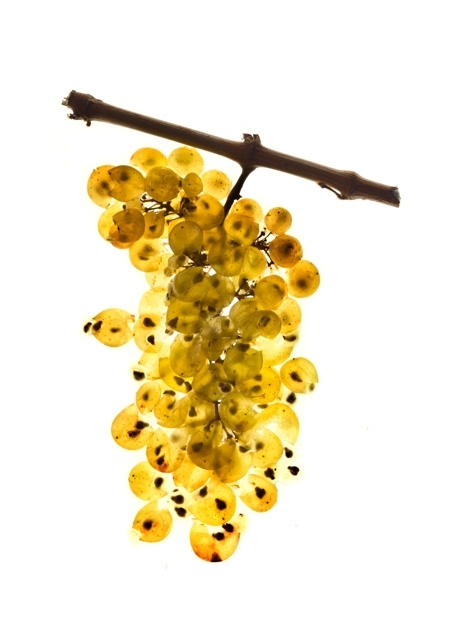 The term "Verdicchio" derives from "Verde", and indicates the greenish and luminous reflections of the wine produced from these grapes. About the origin of this type of white grape varieties there are conflicting opinions: the majority maintains that it is an autochthonous vine, others attribute its appearance in the Marche following the settlement in the territory of some Venetian settlers. From these grapes are obtained fresh wines, with an extremely complex aromatic profile, and characterized by an unmistakable almond and savory finish. It is a wine capable of aging with great elegance like few other whites in Italy, thanks also to its great structure, acidity and high alcohol content.